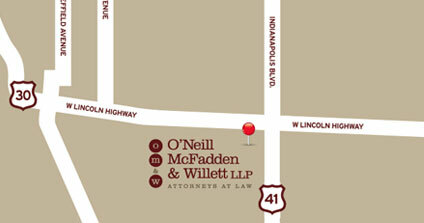 A litigation boutique law firm, O'Neill McFadden & Willett LLP was founded in 2010 as a spin-off from a national law firm. 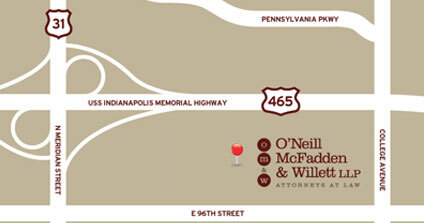 Since then, O'Neill McFadden & Willett LLP has grown the scope and breadth of its law practice. The lawyers and professional staff at O'Neill McFadden & Willett LLP, are dedicated to providing quality, creative and cost-effective legal representation to current and future clients who place their confidence in our hands. The scope of knowledge and experience that O'Neill McFadden & Willett LLP attorneys and support staff possess is both deep and broad, ranging from assisting clients in interpreting business contracts, to defending products liability and professional malpractice claims. Clients, generally large corporations and professionals, look to us for general counsel as well as support in risk management and litigation matters. Contact us regarding your needs in any of the practice areas listed below.